A study polling American and emigrant adults found that 35 percent would consider leaving the US, according to TransferWise, an international money transfer company. The most popular reason for wanting to leave was to seek a better quality of life. Despite the results of the survey, 59 percent said it was home. Another 58 percent said romantic and family ties were important reasons for staying in the US. Another 22 percent in the survey cited democratic society as a reason to stay, and only 2 percent said low taxes. The online poll surveyed 2,000 American and emigrant adults. The percentage of those willing to leave greatly increases for the millennial generation, with more than half of those aged 18 to 34, or 55 percent saying they would consider moving to another country for a higher paying job. “With technology impacting every part of our lives from how we communicate to how we bank, it’s easier to move around the world today than ever before,” said Joe Cross, US General Manager of TransferWise, reported WUSA9. 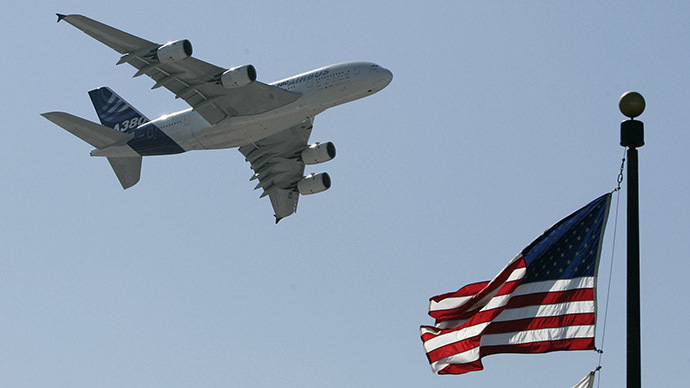 Americans and emigrants are leaving the country in increasing numbers. According to the Treasury Department, more than 3,000 US residents renounced their residency/citizenship in 2014, a 14 percent jump from 2013. While that represents just 0.0001 percent of the total US population, the number of people on record as expatriating to other countries was well below 1,000 per year up until 2010. So far in 2015, more than 1,300 people have renounced their citizenship. The online survey also found that 84 percent of US-born Americans believe the country could be a more appealing place to live, compared to 75 percent of foreign-born residents. The survey was conducted just days before one of the US’s biggest national holidays, the Fourth of July Independence Day celebration.